Introducing the best 7-inch tablet around: Our 2013 Nexus 7 test! The new Nexus 7 is thinner, faster and sharper than the previous generation, along with a new camera, notification LED and a lot of other little fixer-uppers and appealing changes. The new tablet outshines its older version in more ways than one and I can prove it in my test. If you line up both Google devices next to each other, it’s immediately apparent that the new Nexus 7 is thinner than its predecessor which came out just over a year ago (8.7 mm as opposed to 10.45 mm). The new tablet looks smarter, more elegant and modern, which is mostly due to the fact that Google completely redesigned the back-side. Now it looks smooth with a shiny finish and is constructed from a high-quality plastic making it quite ”classy” for carrying around on a daily basis. 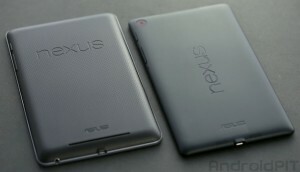 The 2012 Nexus 7 on the left looks really out of date in comparison with its textured back-side, frame and thick chassis. The manufacturer freed this year’s Nexus 7 of useless frills and knick-knacks: the glass panel on the front is no longer surrounded by a shiny silver frame, but flows seamlessly into the plastic body. The speaker on the back is now integrated directly into the chassis, produces louder and clearer sound than its predecessor and doesn’t distort as quickly. The unibody of the 2013 Nexus 7 is looks really classy: no complaints there! I believe it to be a significant design upgrade and this comes as good news because the old Nexus’ textured back always reminded me of the dashboard in an 80’s car or even an old handbag, which shouldn’t be taken as a compliment. It’s also worth mentioning the marginal change implemented to the size ratio (114 x 200 mm (new) instead of 120 x 198.5 mm) and the weight (292 grams (new) instead of 340 grams). The Nexus 7 can easily be classified as one of the lightest 7-inch tablets on the market. For the sake of comparison, Apple’s iPad Mini weighs 309 gams. Obviously, the new tablet runs on the latest Android version, 4.3, which brings a load of small but nice improvements, such as the new graphics standard OpenGL ES 3.0 and the power-saving Bluetooth standard, ”Bluetooth Smart”. 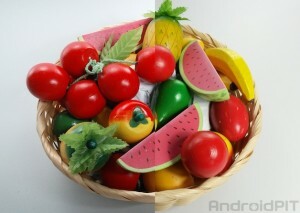 A complete list of the new features presented with Android 4.3 can be found here. On the left side, you’ll see that Android 4.3 only allows for a limited amount of user profiles. On the right, you have about 12 GB left to use from the 16 GB of memory that the device disposes. However none of these features are specific to just the Nexus 7 and are available on other devices with the required hardware. To be clear, the older Nexus 7 will also support all the Android 4.3 features, aside from a few exceptions like virtual surround sound which necessitates stereo speakers. 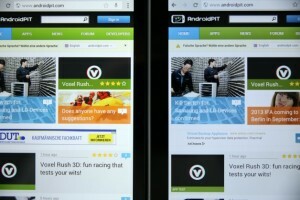 Brighter and sharper: the display on the new Nexus 7 (right) compared to its predecessor. In addition to the improved design, there are other good reasons for buying the newer version instead the ”older” one. First off, this is apparent in the technical data, where Google has moved forwards in leaps and bounds. The manufacturer enhanced the 7-inch screen’s resolution to 1,920 x 1,200 pixels, which results in a pixel density of 323 ppi. When switching the device on, this exciting improvement pops out immediately; the increase in sharpness is really extraordinary. 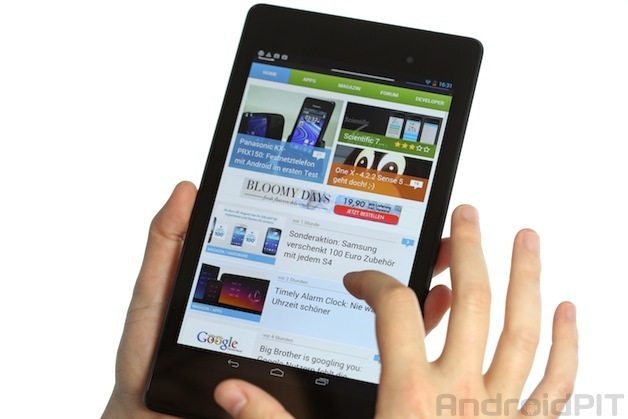 What’s more, the new Nexus 7 is much brighter than the older version. I’m not the only one who was blown away either, several of my colleagues were quite impressed when looking at the display for the first time. When playing YouTube videos, the image quality was also phenomenal. In terms of performance, the predecessor’s system didn’t respond as fluidly as the new-comer, because the latter has stepped up its game with a much more powerful engine: Google chose to no longer rely on a Nvidia Tegra model. Instead the 2013 Nexus 7 struts a Qualcomm Snapdragon S4 Pro (APQ8064), which is really just a relabeled Snapdragon 600 with a speed limit. The quad-core processor clocks at a frequency of 1.5 GHz and has access to 2 GB RAM. 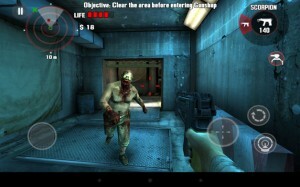 The new Nexus 7 can keep up with even the most graphically demanding games. The improvement and difference in the power propelled by this CPU can really be felt when playing graphically-demanding games such as Dead Trigger. In a direct comparison between the old and new devices, the new kid on the block was 5 to 10 seconds faster and scrolled a lot more smoothly. Another added attribute is the increase in memory which has indeed had a positive impact. While the old Nexus 7 is quite ”laggy” after intensive use, its acclaimed successor remained stable throughout, creating a pleasant and seamless experience at all times. Owners of the 2012 Nexus who are thinking about buying the next version should be aware that “Tegra only” apps and games (THD) will no longer work due to the different processor. A key novelty aboard the 2013 model is the back-facing camera which snaps pictures with a resolution of 5 megapixels. Our ”still-life” fruit basket was presented with neutral colors, a healthy contrast and a good level of sharpness. 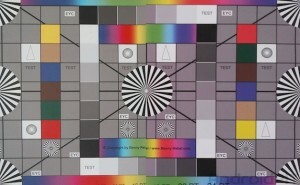 Even the color chart image offered promising results. A few drawbacks that we were able to notice here was the weak color saturation, as well as the feeble light sensor, which in low light conditions quickly made images present more noise. Google’s 2013 Nexus 7 on the left, Samsung’s Galaxy S4 Active on the right. The front side packs a 1.2 megapixel camera, just like almost all the front-facing cameras on mobile devices. These struggle with a lack of focus and a very weak contrast ratio. 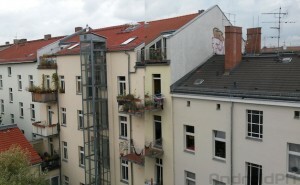 Overall, the cameras on the Nexus 7 are adequate, but nothing more. A few other pictures that we took can be found on my Google+ profile. Although Google has reduced the battery performance from 4,325 to 3,950 mAh, the second-generation Nexus 7 is able to deliver impressive stamina. This is at least according to the results which were presented by many tests performed in U.S and German tech magazines, like Golem for example. According to this mentioned web journal, when using WiFi the tablet can easily outlast one and a half days of intensive use. I’m still trying to make my own judgment, so an update of this test should follow in a few days to come. Considering the specifications, the prices are reasonable: the 32 GB model costs 229 USD (WiFi) or 349 USD (WiFi/LTE/HSPA+). The more expensive variant is $50 more than the comparable 2012 model, a hike in price which I find to be more than appropriate. I advise anyone who is faced with the choice to go with the new model; your money will be well spent. The 2013 Nexus 7 is available at BestBuy, Gamestop, Walmart, Staples, Office Max, Office Depot, and Amazon just to name a few. What’s more, T-Mobile, AT&T and Verizon will be offering the LTE model in a few weeks time. 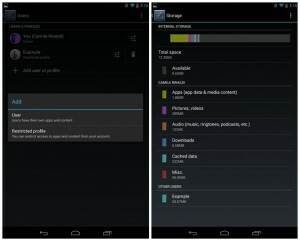 Verizon’s new Nexus 7 with LTE won’t support CDMA, however. My verdict is clear: the Nexus 7 is a new beacon in Google’s portfolio, just like Apple with its iPad. There is no other 7-inch tablet in the Android ecosystem that can compete with this new ”next generation” device, just like we saw with the first generation Nexus 7. Thanks to its impressive display, great design and a long-lasting battery, our conclusion can be expressed as follows: those who want a tablet in the 7-inch range will now feel compelled to buy either an iPad Mini or the new Nexus 7. I would even go so far as to say that owners of the 2012 Nexus 7 should definitely take this new upgraded version into consideration, as the leaps and bounds that Google have accomplished with the newer device are undeniable.